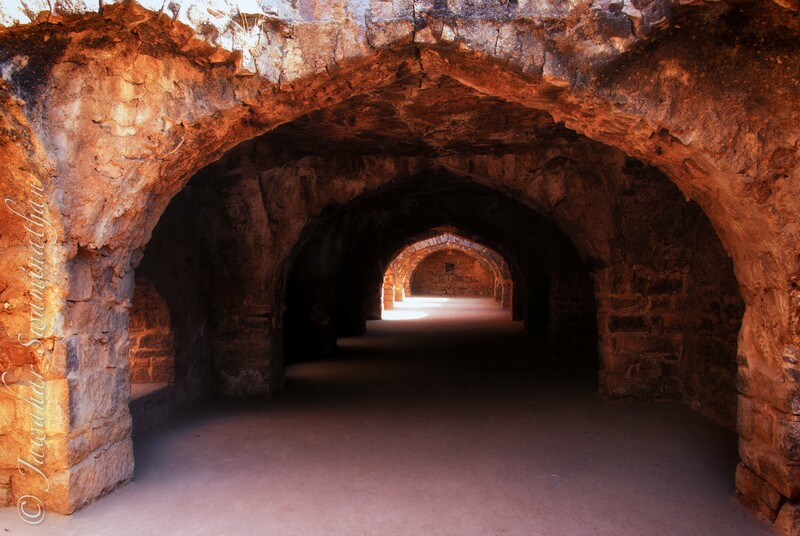 No trip to Hyderabad in India can be considered complete without a visit to the magnificent, awe-inspiring Golconda Fort. 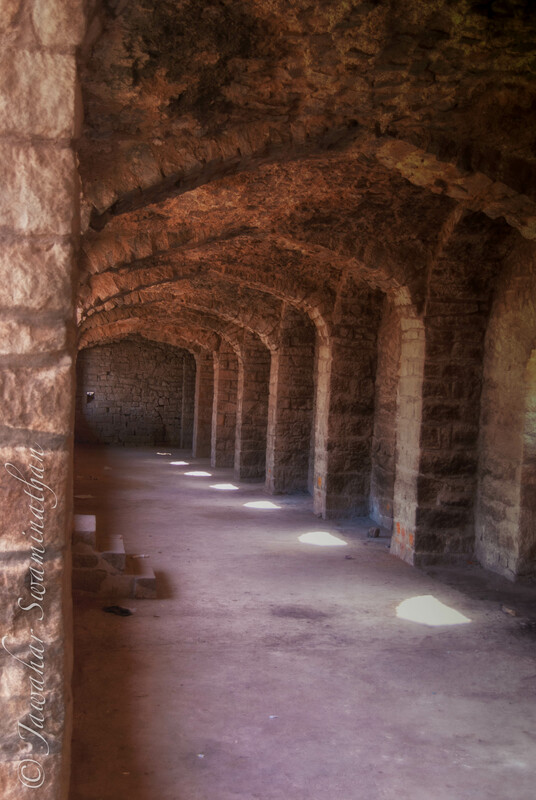 Situated a few miles out of the twin cities of Hyderabad and Secundarabad, the Golconda fort shows a formidable presence in the horizon. 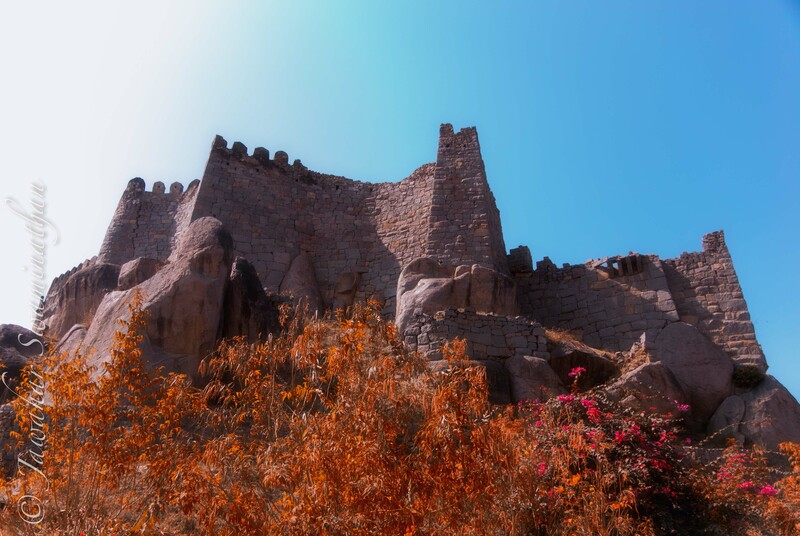 The fort itself dates back to original construction by the Kakatiya dynasty (a branch of the Chalukya rulers of south india in the 12th century. 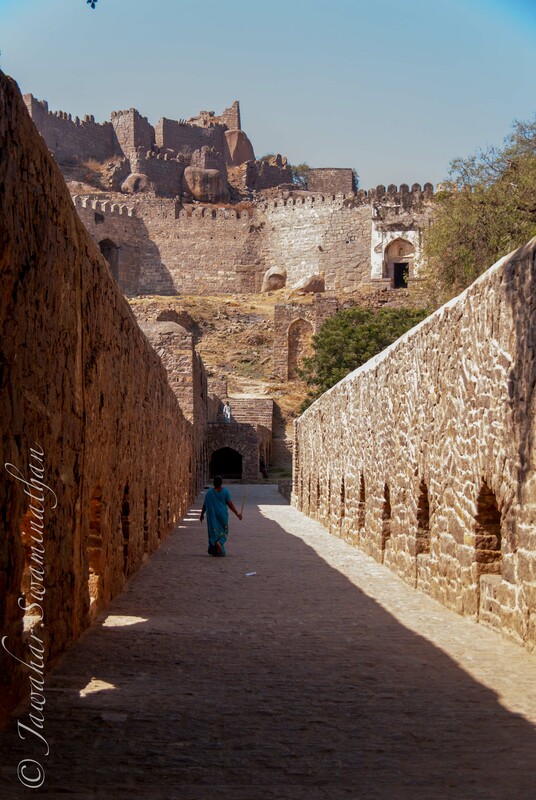 The fort was expanded and further fortified by the Qutub Shahi kings of Hyderabad in the 16th century when they made Golconda the capital of their kingdom. 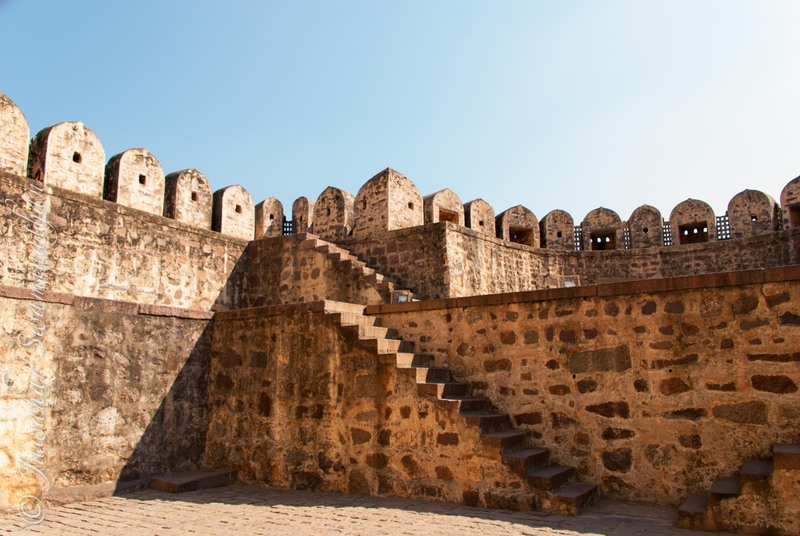 The fort itself is in many levels, with the imperial residences at the very top of the citadel (120 metres above), while the lower levels served as garrison quarters and administrative offices. 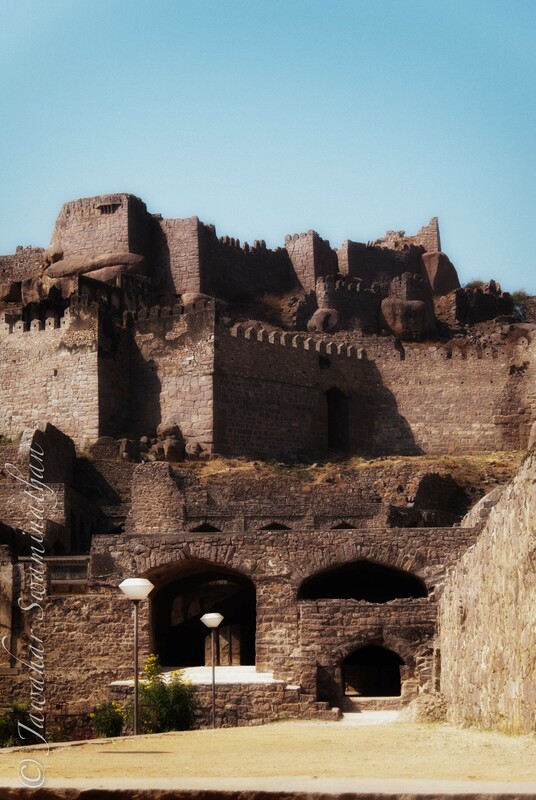 The fort is surrounded by a wall 10KM long with many bastions to ward off attackers. There are over 80 semi-circular bastions in the fort (below) that provided excellent 360 degree view of the neighbouring countryside. More photographs of the challenging climb to the top of the fort follows in part 2 of this fort. Please click on any of the pictures above t see a larger version. 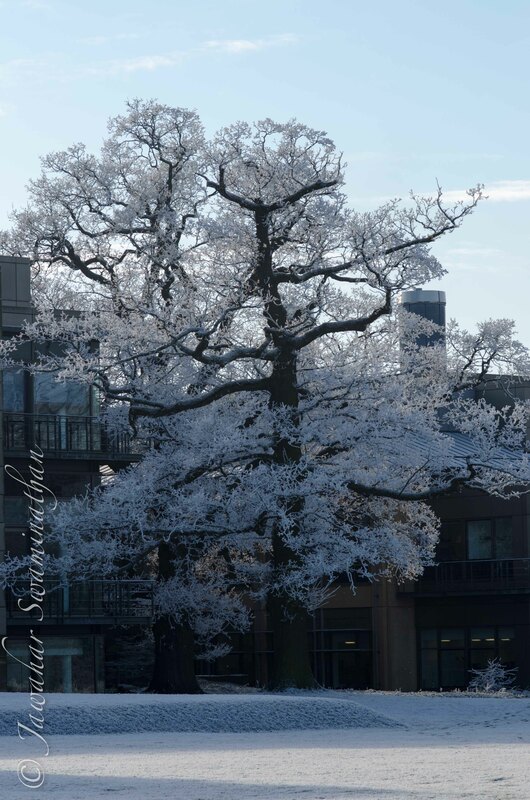 All photographs from a Nikon D80 camera with a Tamron 18-250mm lens. Processed in Adobe Lightroom and Nik Color Efex Pro. I’m new to HDR photography, having only seen some fantastic examples of what is possible from sites such as http://www.stuckincustoms.com/. 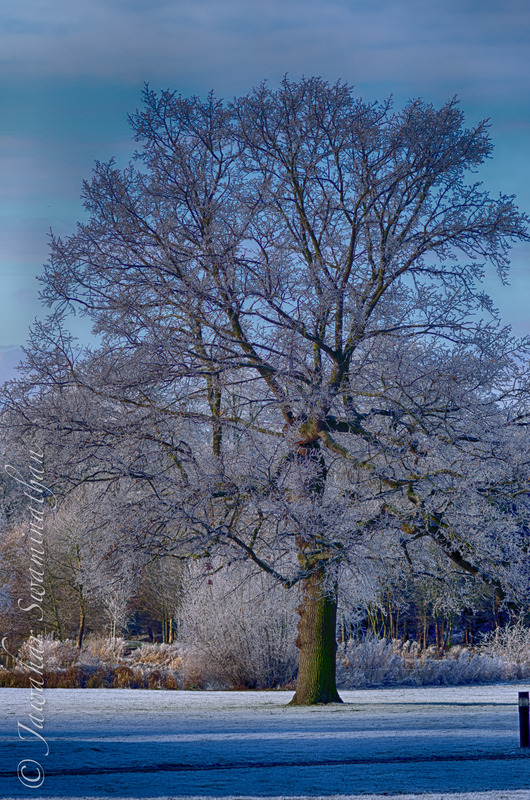 Of course, none of these examples get anywhere close to the brilliance and professional look of really good HDR photography. 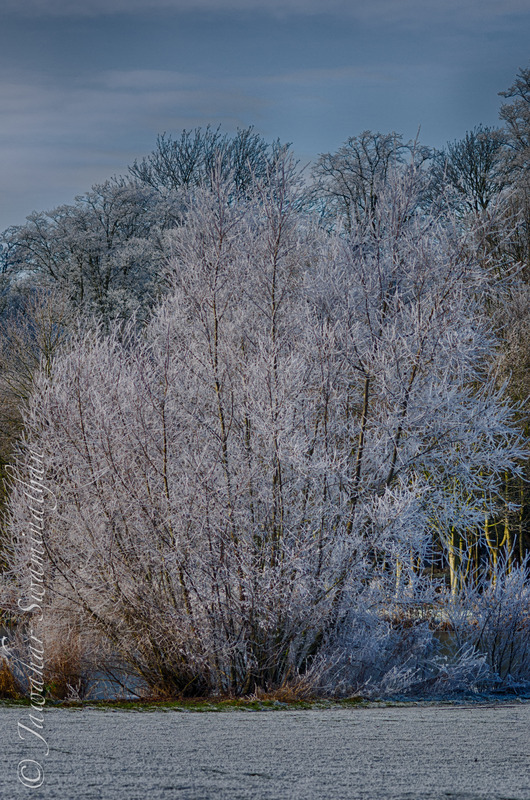 All pictures shot with a Nikon D7000 auto-bracketed 3 exposures -1, 0, +1 and then processed together in HDRefex Pro. 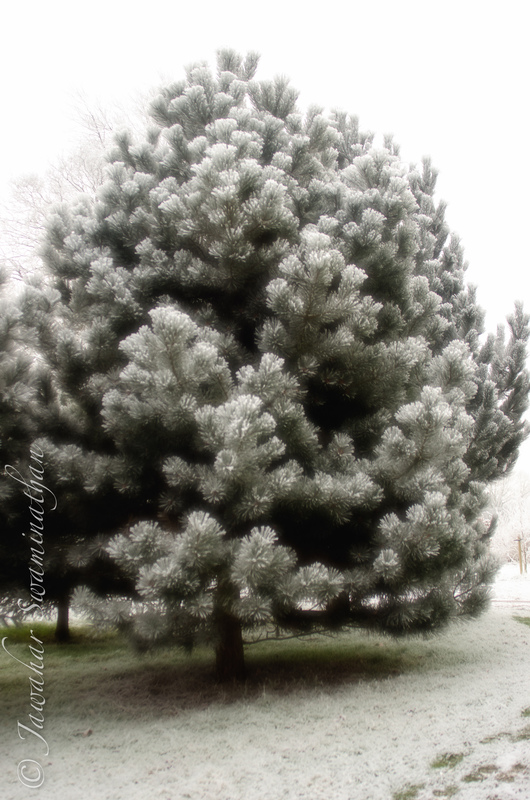 Minor adjustments to exposure and grain with the help of a few existing presets in the software. The original middle exposure is below the HDR version for each photograph. Would love to hear what you think.. 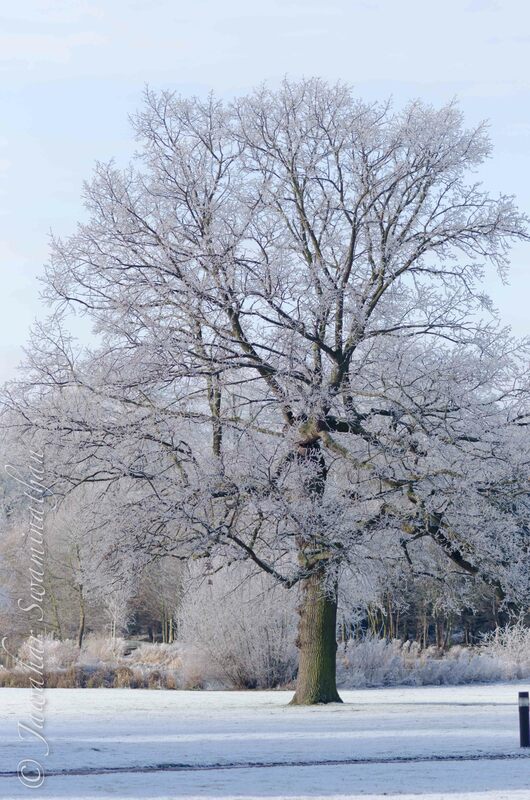 Please click on each picture for a full size version. Hoar frost affected most of Cambridgeshire this morning when the temperature was about -6C.. During the day it did warm up to about -2C, but still too cold to go out and take some interesting pictures. These are a couple I managed in the cold!! 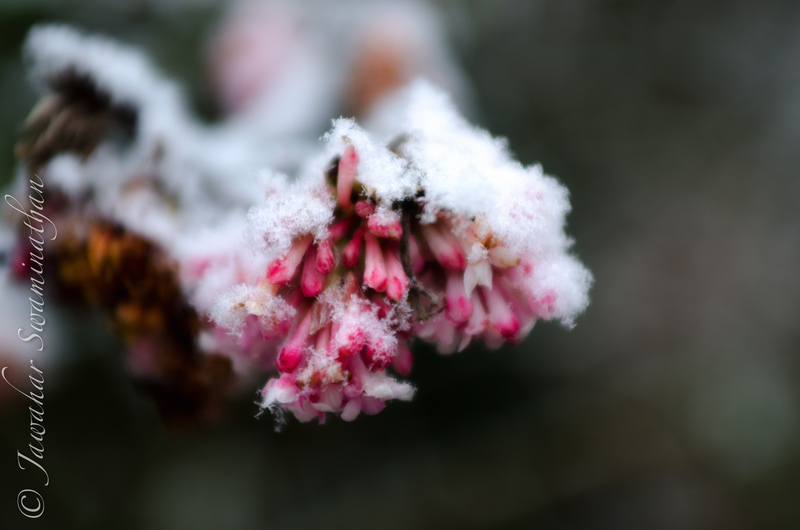 Hoar frost on some unfortunate blooms. I have now lived in Cambridge for over 10 years. As it so happens this is also the longest period of stay by me in any one place in all my 40+ years. And yet I don’t have many pictures of the city (something I will need to change in 2013!). 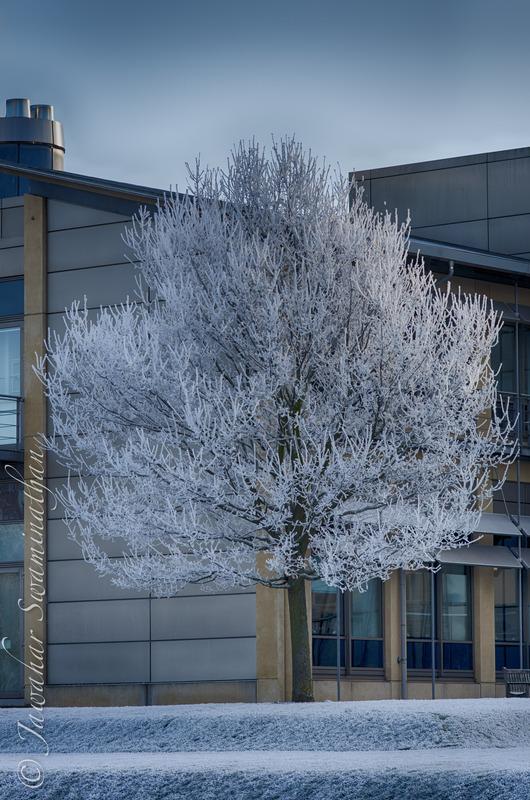 Cambridge: the famous university town with more famous ivy-clad venerable colleges, historical institutions and personalities. 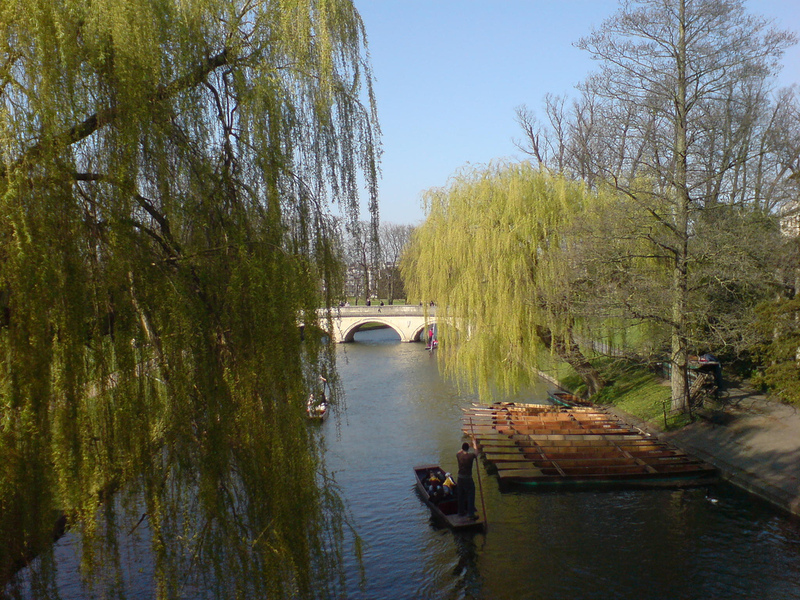 There is a lovely river, the Cam that runs its placid route between the colleges (the backs), under myriad bridges and plays host to punts filled with wide-eyed tourists as they hear tales of history, science and culture that stemmed from these colleges. 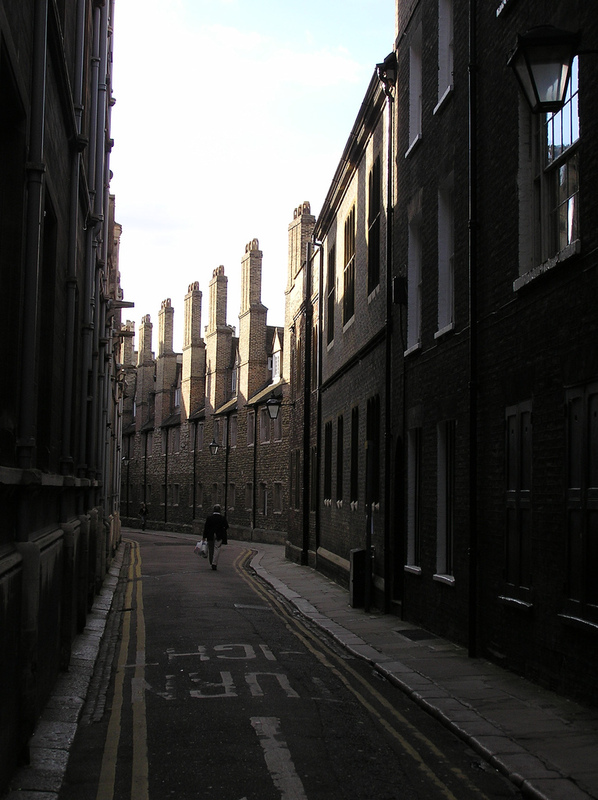 Trinity Lane – bounded by Gonville and Caius College on the left, and Trinity College on the right. Unchanged in centuries. 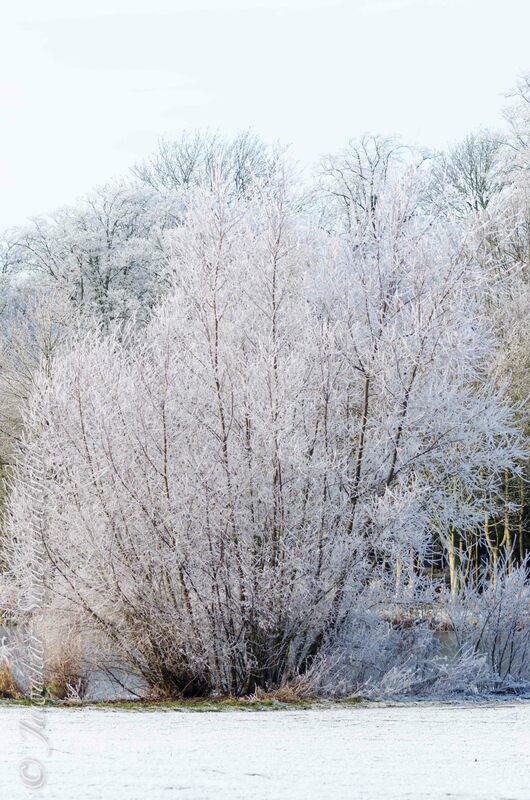 As rivers go, the Cam is a mere 40 miles from its humble beginnings in the tributaries Rhee and Granta. 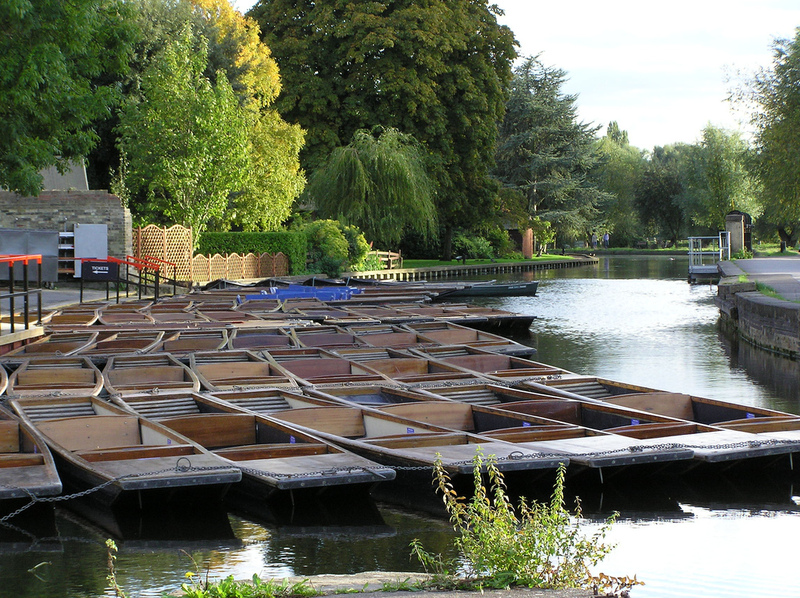 But in Cambridge, the river takes on a life of its own with punting, rowing and canoeing activities throughout the year. There are some 23 bridges on the Cam in Cambridge alone. A majority of these bridges are private and link the colleges with their extensive grounds towards the back. 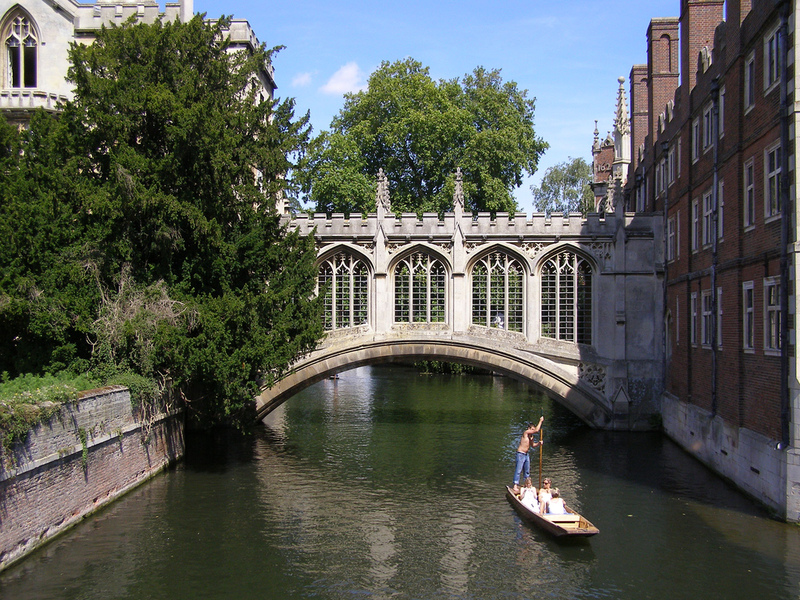 None is probably more evocative than the St. John’s College “Bridge of Sighs” that links the Third Court and the New Court of the college. The Bridge of Sighs, St. John’s College, Cambridge. 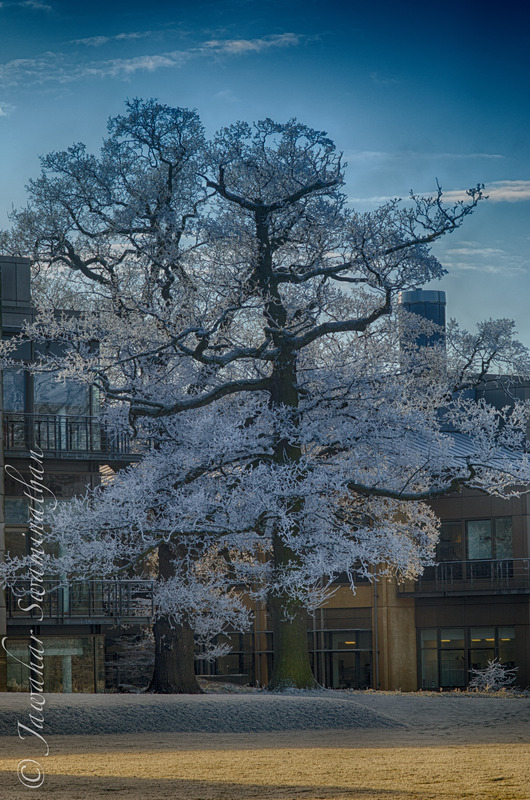 Cambridge is a great place to visit at any time of the year, more so to be able to enjoy punting on the Cam. A future article will deal with some of the more famous colleges.